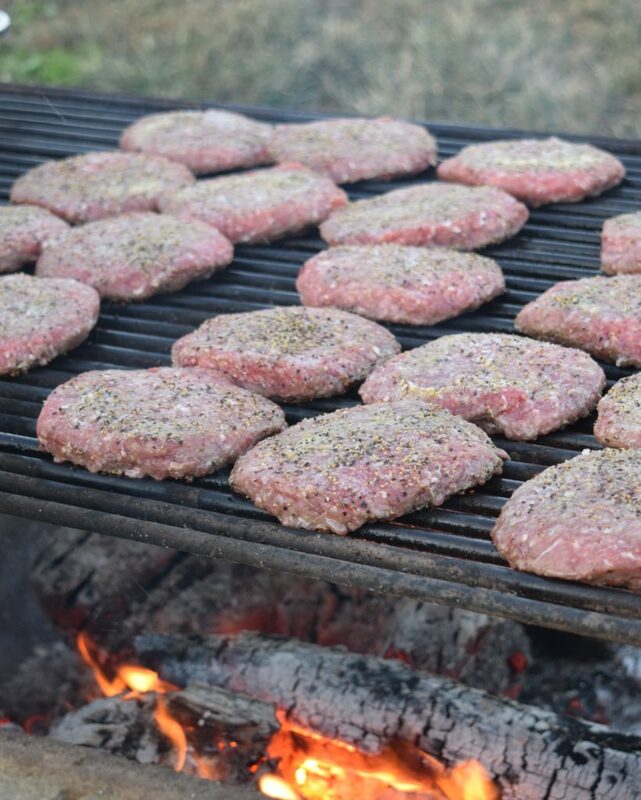 Our Tennessee All Natural Angus Beef is a grass fed/grain finished product, free of antibiotics and hormones. The cattle graze on Tennessee pastures their entire lives, never confined, always treated humanely, and always given access to clean drinking water. We give our cattle free choice to eat a supplemental feed ration for 120 days. This finishing process is a proven method of adding consistent marbling and flavor. To add to our beef’s flavor and tenderness, we dry age all of our beef for 14-21 days in our own harvesting facility. We chose the Angus breed for our grain finished program because the breed is time tested, meeting the needs of a demanding cattle industry on a wide range of points. From burgers made fresh every week to custom dry aged steaks, Southern Natural Farms’ Tennessee Angus Beef equals or surpasses any beef that can be found on the market! Simpson Farms Grass Fed Beef is 100% grass fed beef out of Athens, Tennessee which is free of antibiotics, hormones, and gmos. The Simpson family’s Charolais cattle graze pasture paddocks their entire lives, always living in a relaxed environment, and always given access to clean drinking water. The Charolais breed is one of the oldest beef breeds in the world, known for its excellent performance in converting grass into remarkable lean beef which is why the Simpsons chose this breed for a grass fed, grass finished program. The Global Animal Partnership has rated Simpson Farms a Step 4 farm on their animal welfare rating program. The Simpsons have been all naturally farming beef cattle since 1888 on the same plot of land in Athens, Tennessee. Our Tennessee All Natural Pork is a premium pork product sourced from Scudder Farms in Alexandria, TN which is free of antibiotics and hormones. Scudder Farms is a century, family farm with a true passion for raising quality hogs. The Scudders have carefully selected heritage pork breeds to cross for hybrid vigor, maximizing their herd’s performance. The family row crop operation allows for the Scudders to mill their own feed for their hogs, producing an incredibly consistent pork product. Scudder Farms is a truly sustainable hog farming operation.